Using baby wipes to clear of spilled coffee from a carpet. This component works as an effective Carpet Cleaning agent by absorbing the coffee while clearing the stain too. They are also good for wiping the coffee spills over furniture. 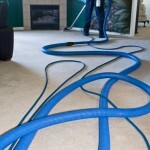 Using ammonia to remove stains from carpets is effective. In such a case, there is a need to mix about 1 cup of ammonia together with 2 liters water then sponge the stain on the carpet using the solution to clear the stain. Beer has proved effective in clearing coffee stains that refuse to go. This involves pouring beer over the stain and rubbing the beer to lift the stain then sponge dry the spot. This process may be repeated a number of times to clear the spot completely. Cornstarch and milk paste is a good agent in clearing ink stains from your carpet. You need to apply the paste on the ink stain and allow the paste to dry. After during, you should brush the contents up then vacuum them from the carpet. Using borax is another effective stain removal strategy. You first need to make the stained area damp then pour borax on the stained area. Leave the spot to dry and then vacuum off the spot to remove the dirt. You can also choose to sponge dry the area using a soapy water and vinegar mix to remove the borax and stain. Shaving cream is an effective juice stain remover. You first need to blot the stain and use a sponge to take off traces of the juice. Then put shaving cream on the stained area and wipe the stain with a damp sponge to clear it. Vinegar is a great use stain remover in the home. This can be the case when vinegar is mixed with salt, borax, cornstarch, water, and baking soda. These solutions help in the removal of different types of stains in the home. For other details, look here.